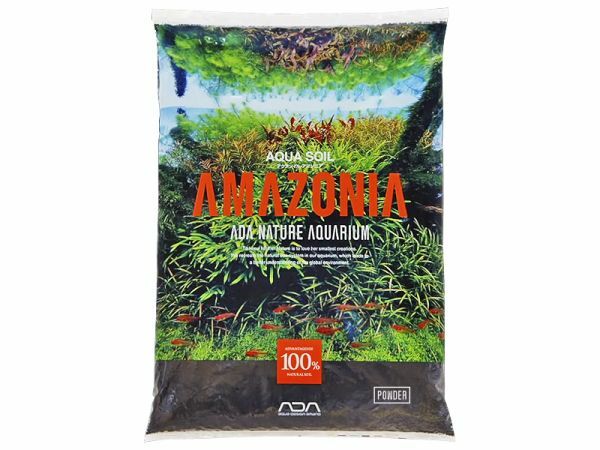 Aqua Soil Amazonia has a high content of humins and nutrients and is suitable for harder tap water. A high pH in the substrate makes it hard for the aquatic plants to take up nutrients. The Aqua Soil Series reduces the hardness of the water and lowers the pH to a level where most aquatic plants can absorb the nutrients they need easily and grow happily. The granules Aqua Soil consists of keep their form and density for a long time under water and ensure a good circulation of water and oxygen inside the substrate. Aqua Soil substrate makes the cultivation of "difficult" plants like Tonina sp. easier, and it is also great for aquarium animals that prefer soft water, like e.g. Apistogramma and various dwarf shrimp. 1. This substrate has been developed only recently, and it is manufactured from natural earths in a special process. 2. Colloid particles catch detritus floating in the water, without the necessity for chemical additives. 3. Makes the water crystal-clear and creates conditions that are ideal for healthily growing aquatic plants. 4. Lowers the water hardness. 5. Helps lowering the pH of the water to an ideal level, which most aquatic plants prefer. We do not recommend the use of Aqua Soil for aquaria whose stock needs a high pH. 6. The grain and density of this granulate enables the plants to develop a healthy root system very fast, in contrast to sand. 7. Aqua Soil maintains its form in the long run under water, and therefore always has enough room between the granules, which is crucial for maintaining a planted tank in good condition over a long time (root growth). 8. The combination with Power Sand will further incrase and enhance the development of beneficial bacteria inside the substrate, and perfect conditions for the root systems of the plants will ensue. 9. The desirable pH for a good root development in aquatic plants is created automatically (pH 5,0 - 6,0).